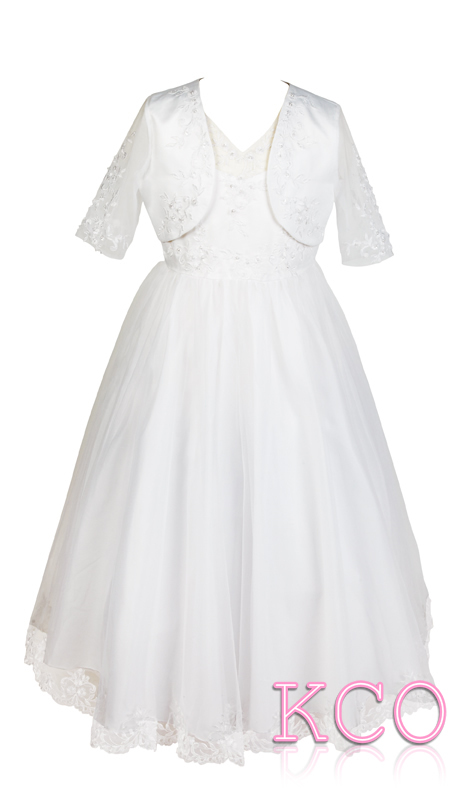 This elegant girls first holy communion dress has an intricately embroidered bodice. This v-neck girls first holy communion dress is also accompanied by a short sleeved bolero jacket which has the same beautifully intricate embroidery, complementing the girls dress beautifully. The unique bottom of the girls communion dress has a double skirt effect with a delicate lace hem which creates a simply magical appearance to this girls first holy communion outfit.